As proud sponsors of the Stationery and Event Team of the Year category at The Wedding Industry Awards (TWIA), we’re excited to support and champion all of the small businesses who were involved in this year’s event. While the confetti settles on another fabulous awards evening at TWIA, we caught up with the GG’s (that’s the Granary Girls), the Granary Estates team behind the award-winning Granary Estates – who took home the crown for Best Wedding Event Team at this year’s Wedding Industry Awards. A big congrats on your win from all of us here at Printed.com! Can you tell us a little bit about what you do? Hi! We are the GG’s (aka The Granary Girls) and we are the team behind the award-winning Granary Estates! The Estates consists of two venues located on the Suffolk/Cambridgeshire border; The Granary Barns and The Polo Club Dullingham. With its classic flint walls and original timber beams throughout, our 18th century Granary Barn is the perfect setting for a relaxed and intimate wedding day. The Polo club in Dullingham offers space, flexibility and versatility for those looking for a blank canvas. We operate all year round, sharing our love and passion for all things wedding! We are over the moon to have won ‘Best Wedding Event Team’ in the UK at this year’s Wedding Industry Awards! How has TWIA helped grow or promote your business? We have worked with TWIA for the past three years, playing proud host to the East of England Regional Finals at our barn venue. We love working alongside Damian and Anna, helping to promote our industry and the best suppliers in the business. As participants we have found entering the awards a great experience. We have been both highly commended and regional winners in the ‘Countryside Wedding Venue’ and ‘Events Team’ categories, and this year are thrilled to have won ‘Best Wedding Event Team’ in the UK at the national finals in London! It is the cherry on top of another fantastic year at The Granary Estates and is true testament to the special relationships we build with our couples. We are proud to be able to display our TWIA badges on our website and trophies in our office, allowing us to promote our award wins which provides further credibility and trust. What does 2018 have in store for your business? We have another busy year ahead of us at The Granary Estates! As a venue that operates all year round, we have events throughout the different seasons and love how different this makes every wedding. We have a couple of exciting development projects in the pipeline at The Granary Estates as we continue to grow and enhance our facilities for our guests and clients. Whether it’s improving the grounds or providing new opportunities for those all-important wedding photos, we are always setting the bar higher and will continue to do so in the next 12 months. Alongside weddings, we also host all manner of events throughout the year from birthday parties to corporate seminars. Having a variety of events makes for an exciting and varied work week for our team at The Estates but we wouldn’t have it any other way! We look forward to seeing what this year holds for our team and venues and can’t wait to welcome lots more new faces through our doors! Don’t forget, whether you’re a wedding venue or team like the GG girls, a wedding stationer looking for innovative print solutions or a small business looking for cutting edge promo and Business Stationery, we’ve got you covered. 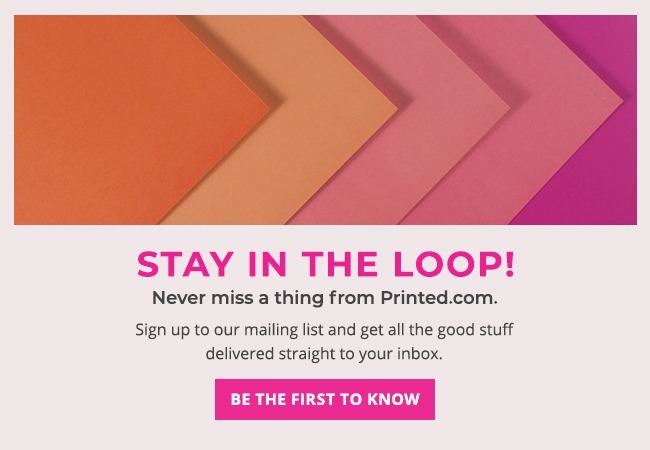 Head to www.printed.com to discover our entire range! As one of the Granary Estates recommended suppliers I can honestly say that they asbsolutley 100% deserve all their success. The team are fantastic and have become friends as well as industry collegues. I can’t wait to get back there this year! That barn looks absolutely stunning. Congrats on the win!